A beautiful custom built residence in a coveted location a few mins walk to St. George's School. Built for the current owners - like new condition meticulously maintained & thoughtfully designed w/ 9' ceilings on each floor, 5 skylights & lots of beautiful wood windows provide plenty of natural light. Extra large 53 x 130 ft lot offers a super spacious 4800 sq ft plan w/6 bdrms plus a den & 5 baths. Great room style family room w/island kitchen in addition to formal living room dining room. Upstairs offer 4 bdrms w/ 3 baths & lower level has an extremely open plan great for sports & entertainment plus 2 guest bdrms. Features gleaming cherry hw floors, in floor radiant heat, HRV, air conditioning & stone terraces overlooking lovely peaceful Pacific Spirit Park. 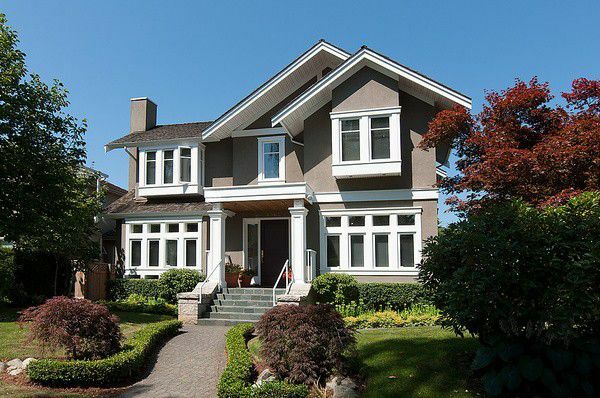 This gorgeous home is also a short drive to Dunbar shops, Crofton House, UBC & other top West Side schools.